If you’re looking for a durable, yet stylish and energy efficient roofing material for your home, consider metal roofing from Kramer Construction. A standing seam metal roof installed by Kramer Construction will last for years and can help you use considerably less energy than you would with traditional black asphalt roofing materials. Here at Kramer Roofing we have been helping Mt. Pleasant, Charleston, and North Charleston residents with their metal roofing needs for more than 20 years. Whether you are looking for metal roof replacement or you’re thinking about going with a metal roof for the very first time and need installation, trust the professionals at Kramer Construction with your project today. Contact us today to schedule a free roof inspection and get an estimate for your metal roof installation project. Fill out our online contact form or simply call us at 843-790-3537 today. Standing seam metal roofing has been around for a long time. A metal roof will cost homeowners more money but they are superior to other forms of roofing when it comes to a lifetime of durability. Statistics show that metal lasts almost 3 times as long as a traditional roof. 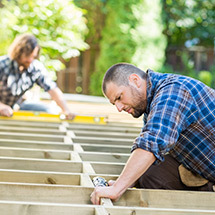 Homeowners typically never have to worry about replacing the roof as long as they live in the home. A variety of colors are available in metal roofing to add to the architectural beauty of a home. Adding a standing seam metal roof to your home is also a good idea for people who love to garden and want to use rain runoff to water plants and flowers. Metal roofing that reflects sunlight away from the structure will provide energy savings on utility bills. Those savings over many years can offset some of the added costs of a metal roof upgrade. Savings might also be seen on home insurance policies since metal is nonflammable. A metal roof is more weather resistant to extreme conditions including high winds. Rain, snow and hail are not much of a match for today’s standing seam metal roof designs. Metal panels resist rusting with metallic zinc and aluminum coating applied to the metal before painting at the factory. With the many advantages of metal roofing, it makes perfect sense in having a reputable roofing company replace your old roof with a new one. Always ask what options are available in roofing design, quality, and costs when selecting the perfect metal roof. 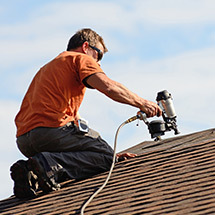 Jim Kramer, President and founder of Kramer Construction, has been providing Charleston, SC and the Low Country area residents with quality roofing and home improvement services for more than 20 years. 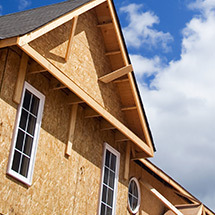 We are a fully licensed, bonded, and insured construction company located in Mount Pleasant, but service the whole of the Low Country region of South Carolina. 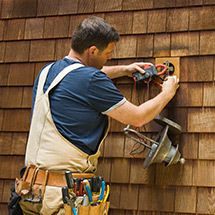 Kramer Construction is fully licensed to renovate or build anywhere in the state of South Carolina, a CertainTeed Shingle Master company, licensed to install the CertainTeed Integrity Roofing System, and also an EPA Lead-Safe Certified firm. We’ve taken on projects of all sizes throughout the Low Country and understand the unique needs of homeowners in this area. From the hot and humid climate to the risk of severe tropical weather and hurricanes, Kramer Construction has the experience and resources to pair you with the right product and exceptional service. If you’d like to explore adding a durable, attractive metal roof to your property, contact Kramer Construction at 843-790-3537 . We’ve been helping area homeowners like you with their metal roofing needs for more than 20 years.